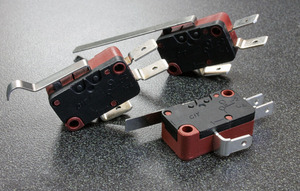 Available in two sizes, the CIT Relay & Switch Snap Action Microswitches present a choice of SPST OR SPDT circuit. These UL/cUL recognized switches offer highly reliable function and excellent switching precision. Several mounting and actuator options prove suitable for many different applications. Contact CIT Relay & Switch today to determine which series works for your design needs! Common applications for the VM3 Series snap action microswitches include leveling and safety switces in elevators, vending machines and door detection. They are ideal for use in security, medical, process controls, business machines, HVAC, material handling, vending, gaming, circuit breakers and household appliances. Small in size, common applications for the SM3 Series snap action microswitches include leveling and safety switches in elevators, vending machines and door detection. The SM3 Series is ideal for use in security, medical, process controls, business machines, HVAC, material handling, vending, gaming, circuit breakers and household appliances. CIT Relay & Switch offers a broad line of mechanical automotive relays. From low current applications up to 80 amps, CIT can support your requirements. To choose the best automotive relay for your application, contact CIT Relay and Switch, we will work with you to determine your best options and provide you with a high quality, competitive solution. Driven by continued logistics, operational and material cost increases, Eaton’s B-Line Business will be implementing a price increase effective July 1, 2014, across all product lines. Although the amount of the increase may vary by item, list prices will increase an average of 3.5%. This increase will apply to all stock, special price agreements, blankets and new project quotes. This announcement is intended to provide notice that all previous pricing currently in effect shall be replaced by the updated pricing as indicated for all orders received on or after July 1, 2014.
Cooper B-Line’s catalog numbering system for industrial and commercial enclosures and wireway is a logical, easy-to-use system. It was developed so our customers could easily order or find a Cooper B-Line catalog number. Referenced in each catalog number is the size, type designation, and style. When you choose Avery Dennison RFID, you get field-proven inlay products, advanced research and testing capabilities, experienced engineering and technical resources, and, most importantly, a partner with a deep understanding of what it takes to make your application successful. When you choose Avery Dennison RFID, you get the benefit of our relationships with best-in-class chip and reader manufacturers, label and tag converters and systems integrators across the globe — to support the most challenging RFID projects. When you choose Avery Dennison RFID, you get solutions to application challenges such as materials, environments and packaging. 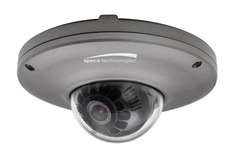 For added security Arlington’s enclosure boxes are ‘lockable’ in a couple of ways. There’s a knockout on the front of the box for an optional cam lock. And a latch that accommodates a padlock. 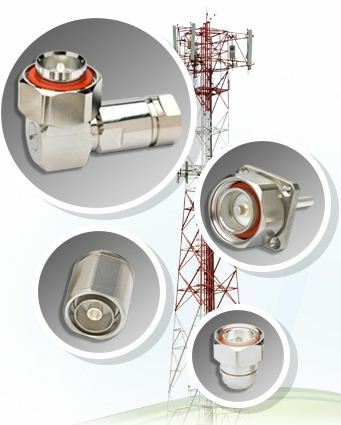 The Amphenol Connex range of Low PIM adapters is ideal for wireless applications requiring consistent electrical performance, low return loss and low IMD. These coaxial adapters feature precision machined brass bodies and contacts. Bodies are plated with a tri-alloy plating known as white bronze or Nexcot and offers the same Low PIM performance as silver without fear of tarnishing. Contacts are either white bronze or silver plated. Repair Tape, another innovation from Gardner Bender, can save the day during emergency repairs. Easier than heat-shrink, cleaner than plumbers’ putty, and more flexible than a vice grip, Repair Tape is a household necessity. Add it to the tool box, the workshop shelf, and the “junk-drawer” for emergency repairs and maintenance projects. Stretch, wrap, and protect or repair everything from leaky hoses, pipe insulation, electrical connections, tool handles, air ducts, and cord/rope ends. • Save Time: Use Repair Tape to hold irregular shapes instead of clamps or vice-grips. The non-adhesive formula leaves no sticky residue. • Reduce Stress: A quick fix during emergency repairs, Repair Tape is waterproof, weatherproof, and air tight. • Save Money: Insulate and protect around the house and minimize the need for emergency repairs. • Reduce Hassle: Waterproof and insulate wire connections with no extra equipment or heat required. • Non-Stick – Repair Tape fuses only to itself when applied under tension. No sticky residue remains on wrapped surfaces. • Flexible - Operates and remains flexible from -60°F (-51°C) to 500°F (260°C). • Strong – Stretches up to 300% its original length with 60 ppi tear strength. • Durable – A permanent air & water tight seal, Repair Tape has excellent UV Resistance. • Secure – Repair Tape begins to bond immediately on contact with itself. Repositioning is not recommended after 2 minutes of contact, and the bond is permanent within 24 hours. Experience and innovation makes Platt the leader – since 1921 – in the custom case industry. Platt’s product development team and experienced engineering staff have the knowledge to create a custom solution to fit your unique requirements. Leverage the expertise of our engineers to develop a solution for your branding, shipping, protection and organization needs. Orion Fans manufactures a broad selection of AC fans, DC fans, blowers, fan trays and accessories to meet your specific application. At the heart of the EVO 7 lies revolutionary, patent-pending Tension/Lock/Cut (TLC) technology that dramatically changes how cable ties are cut. The key is TLC’s ability to lock each tie in place at the desired tension prior to cutting. Because the tension is fixed at the trigger when squeezing begins, only a minimum of hand force and a shorter range of motion is required to cut through each tie. What’s more, there’s no jarring impact after the cut. Also, because each tie is cut at a consistent level of tension with less movement, there’s less wear on internal components, resulting in longer tool life. Want to select a specifi c level of tie tension for bundling? Simply rotate the tension knob to any of the easy-to-read, pre-set ension settings. Standard cable tie installation tools stretch the tie while cutting, causing the tie end to retract into the head, or leave a protruded edge. But with EVO 7, the tie is cut at precisely the tension you select for a clean, fl ush cut at the tie head – without overstressing the tie. With TLC Technology, the patent-pending locking mechanism detects when the desired tension is met, and locks the tie in place prior to cutting. At that moment, all force applied to the trigger is directed to cutting the tie. That means the trigger only needs to be pulled far enough to cut the tie, reducing the range of motion and subsequent strain on the hand and arm. Once the tie is locked in place, the tool operator needs only to advance the trigger enough to cut the tie. Since there is no dynamic tension (stretching) on the cable tie, all energy is focused on driving the blade through the tie, resulting in a clear, fl ush cut, time after time – all with no jarring motion to the hand or arm. Smooth "coined" clamp edges prevent damage to cable insulation. Belden’s new railway approved high temperature Cat 7 Ethernet data cable extends the RailTuff range of reliable data communication products for the transportation sector. The new RailTuff BE43802, a Cat 7 Ethernet data cable designed specifically for the passenger railway market, integrates network communications, passenger safety and operational efficiency signal transmissions. Train builders and designers are now specifying data networks that can support increased bandwidth and data transfer rates in order to future-proof passenger and operator service systems. The new cable is designed for the transmission of data and signals using Ethernet technology, for on-board applications; effectively future proofing the on board Ethernet backbone and enabling compliance with the new series of IEC standards; IEC EN 61375 “Train Communication Network (TCN)” and IEC EN 62580 “On-board Multimedia and Telematic Subsystems for Railways”. Gold Flashed Contacts - Prevents premature oxidation and increases shelf-life. Contact Rating - Higher contact rating expands range of potential applications. Lock-Down Door - Allows operator to manually override the system. Flag Indicator - Verifies mechanical operation is following control inputs. UL Listed - Eliminates the need for customers to self-certifytheir electrical system. Relay Adapters - Reduces cost by eliminating the need for a socket and/or a DIN rail. Complete System Solution - Accessories include Socket Modules, Hold-down Clips, & Relay Adapters. Volex is a leading provider of interconnect solutions and power products. Voles has served the telecommunications, datacoms / data-centre, industrial, consumer and medical market for over 100 years. Volex's range of interconnect solutions include original-design fibre-optic, high-speed copper and radio frequency (RF) cable assemblies With design and manufacturing facilities across the globe, Volex has the flexibility to meet time your deadline at competitive pricing. 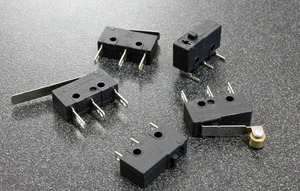 A binding post is a versatile connector that allows a temporary or semi-permanent connection between electronic devices or circuits. The contact surface clamp washer, against which the wire or lug is clamped by the head, is an integral part of the stud and not a force-fitted separate washer. 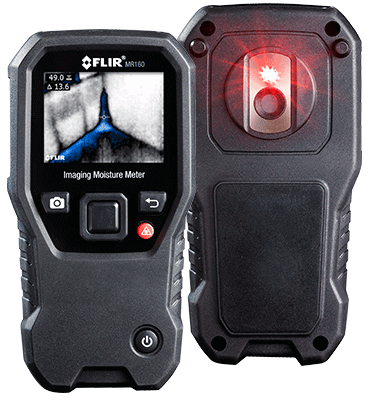 This avoids possible electrolytic corrosion across the mating faces due to current through the interface and subsequent increase in noise, galvanic EMF and resistance. The cross-hole is drilled at right angles to a key-flat on the clamp washer in the screw machine, assuring absolute angular alignment of the finished post to the keyed flat in the instrument panel. Press-on base washers can have a much as five or ten degrees of angular misalignment. The behind-panel backup insulting washer is made of solid plastic, which reduces cost and increases insulation from flashover voltage of the post. A flat metal washer is provides as a bearing surface for the nut against the backup washer. This washer can be used without the insulating backup washer, if it is desired, to ground the post to the panel. The Hakko FX-888 is an inexpensive but durable temperature adjustable soldering station that provides more power and takes up less workbench space than its predecessor, the Hakko 936. The added power of the Hakko FX-888 provides up to a 30% increase in operator productivity due to the increased thermal performance and faster thermal recovery time. Today, workbench space is at a premium, and the FX-888 uses approximately 35% less surface area compared to the Hakko 936. Sofasco International designs and manufactures CE certified AC & DC axial fans, blowers, centrifugal & cross flow fans for electronic cooling applications. Established in 1981, the company maintains factories in Taipei and Kaohsiung Taiwan; Ningbo, ShenZhen and Guangdong Province, China; as well as Hong Kong, SAR and Korea. Decimal is to far right for whole number amp ratings, to far left for ratings less than one, and within center for fractional amp ratings. A/X 1 V 5 T 10 S 20 L 50 H 100 F 200 G 250 U 500 M 1000 D 1500 P 2000 E 2500 W 3000 Y 4000 N 5000 K 10000 J 12000 Z Misc. The SPF Solar Protection Fuse series has been specifically designed for the protection of photovoltaic (PV) systems. This series of Midget style fuses (10 x 38 mm) can safely protect PV modules and conductors from reverseovercurrent conditions. As PV systems have grown in size, so have the corresponding voltage requirements. This increase in system voltage has typically been intended to minimize power loss associated with long conductor runs. Standard circuit protection devices are not designed to completely protect photovoltaic panels. However, the SPF series is UL Listed to safely interrupt faulted circuits up to this demanding voltage level. These capacitors combine the outstanding electrical properties of PTFE with nonferrous metal parts to provide high Q, high DWV, high IR, excellent conductivity, corrosion resistance, high resolution, and excellent stability. They are used on industrial and commercial grade equipment. 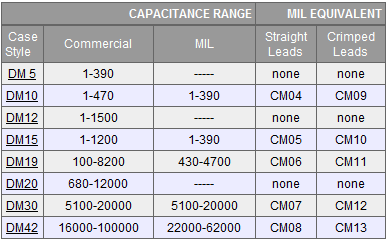 These capacitors are used on industrial, commercial and consumer grade equipment. These include mobile radios, transmitters, pagers, instruments, electronic games, CATV, and wireless security and fire alarms. They come in a variety of capacitance ranges, sizes, and dielectrics. There are many modifications available, and the cost for commercial/industrial application is low. Glass capacitors give very high Q and stability, and they are very resistant to external pressures such as moisture and vibration. There are three dielectrics. The standard glass is least expensive and will suit most applications. If a greater Q or higher capacitance is required, then the more expensive high-range glass would be advisable. For applications involving moderate RF currents, fused quartz is used. Quartz trimmers are about three times more expensive than standard glass trimmers. There are many possible variations on the glass trimmers, with a choice between sealed or unsealed, and a possibility of an expanded range model. Used on military and professional grade equipment. Sapphire trimmers have very high Q at UHF and microwave frequencies, and are extremely stable over temperature, frequency, voltage, etc. They are also very small, and they can be very precisely adjusted. However, these capacitors are also very expensive. They are used on military and professional grade equipment. They are frequently used in stable oscillators, frequency multipliers, filters, tuning cavities, and coupling. Mica capacitors have high Q, large capacitance ranges, and very good RF current handling capability. They are used on industrial, commercial and consumer grade equipment carrying RF power and/or requiring high capacitance. There are many forms and mounting styles available. The part numbering system differs slightly from the other trimmer capacitors in that there are five categories, with the mounting styles and size identified separately. These capacitors are used on industrial, commercial and consumer grade equipment. While they may not be as stable or efficient as some of the other dielectrics, they are very low cost and have a wide selection of capacitance ranges. HD-BNC delivers TRUE 75 Ohm performance in a footprint 51% smaller than traditional BNC connectors, allowing 4X the density. Engineered to enhance electrical and mechanical performance, the HD-BNC connector features the trusted, push and turn interface of a traditional BNC, providing tactile feedback and a positive lock for quick and guaranteed mating. Using the same cable prep and termination specifications of legacy broadcast connectors makes adopting HD-BNC seamless. 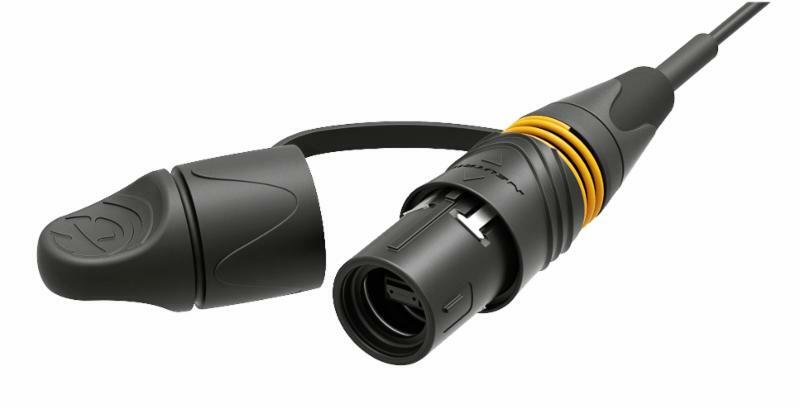 Neutrik as announced the addition of a new lockable device connector called the powerCON TRUE1 connector. This product is UL and VDE certified, single-phase system is designed for 16 A, 250 V. The TRUE1 as been designed with an integrated twist-lock that can’t be opened without a tool. PowerCON TRUE1 is a complete system including inlet and outlet couplers for easy daisy-chaining of equipment and a water resistant ready-made cord sets (IP65). R&J Components is pleased to announce the addition of the CSB Battery Line. CSB Battery manufacturers VRLA batteries for UPS, telecommunications, emergency lighting, and security applications. Their UPS series UPS122406, UPS123607, UPS12460, & UPS12580 are latest in wafer-thin plate technology. 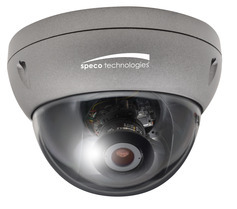 They provide optimum high-rate performance, while being lightweight and small. The new ALCOSWITCH Blue Series pushbutton is based on an innovative snap-action mechanism that produces an extremely fast switching moment. This high level of dynamics not only reduces arcing and bounce but it also results in a high number of duty cycles. The new series comprises versions with SPDT and DPDT configurations and can be ordered with push on / push off or momentary function. The actuator cap of the push-button switch is available in many colors and sizes. Konform® Conformal Coatings are used to protect printed circuit boards, components and flex circuitry. These coatings provide excellent electrical insulation and withstand hot and cold operating environments, as well as heat generated by electronic circuitry. Formulated to protect components and circuits in the most demanding of environments, all Konform® conformal coatings contain a UV indicator for easy quality assurance. These tough, transparent coatings will not fragment, chip or crack, thereby providing excellent protection. All are convenient and ready to use. So, stress less with Konform! Precision film capacitors are passive electrical components that consist of two metal electrodes/plates separated by a dielectric (insulator) in order to store electrical energy. Electrocube designs, manufacturers and sells precision-wrap and fill, oval/round/flat and epoxy case/hermetically-sealed capacitors. Since 1961, Electrocube has been manufacturing and assembling Film Capacitors here in the United States . As an industry leader, their commitment to quality and reliability is unmatched in the industry. Their high-voltage capacitors - miniature wrap and fill capacitors - blend high-performance with longevity and durability. Electrocube also offers a line of audio-optimized film capacitors specially designed and optimized for the high-end audio industry. Whether for professional, commercial, stage or studio applications, these film capacitors are preferred by audio engineers for their high grade materials and proprietary design and manufacturing processes. Marquardt is please to announce that our foot switch family is being extended with another product. 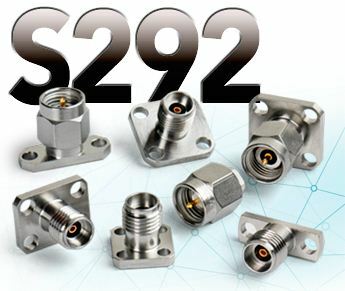 The new 2420 series is specially designed for applications in harsh environments. As with the existing Marquardt foot switch series, the loads are switched with snap action switches. In the new switch series, these snap action switches are totally encapsulated so that a protection degree up to IP 65 and IP 67 (dust- and water protected). This new feature improves the already high reliability of the standard foot switch offered by Marquardt with an enormous spectrum of possible electrical ratings from low voltage (max. 300 mW) with gold contacts up to 16 (8) A 250 VAC or even higher on demand. The 2420 series has a high life endurance of more than 2,000,000 cycles mechanically that guarantees high reliability. A modular design allows many different versions with regard to switching functions, loads, preassembled cables with optional colors. Even customer specific logos can be captured on the switch surface. Additionally, the base foot switch can be equipped with a protection hood for user safety. With this hood feature, the switch is ready for heavy-duty environments.